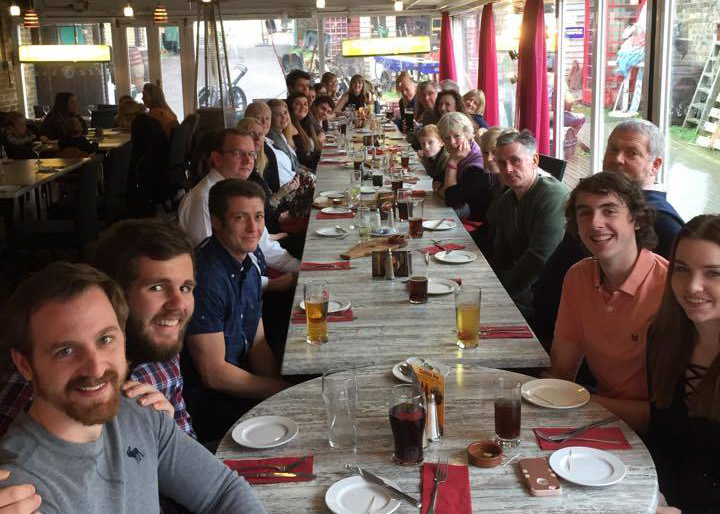 Dover Rowing Club held their end of season meal and awards ceremony at Cullins Yard. There was a good turnout from the active rowers at the club for the awards that covered both the 2015 and 2016 seasons. 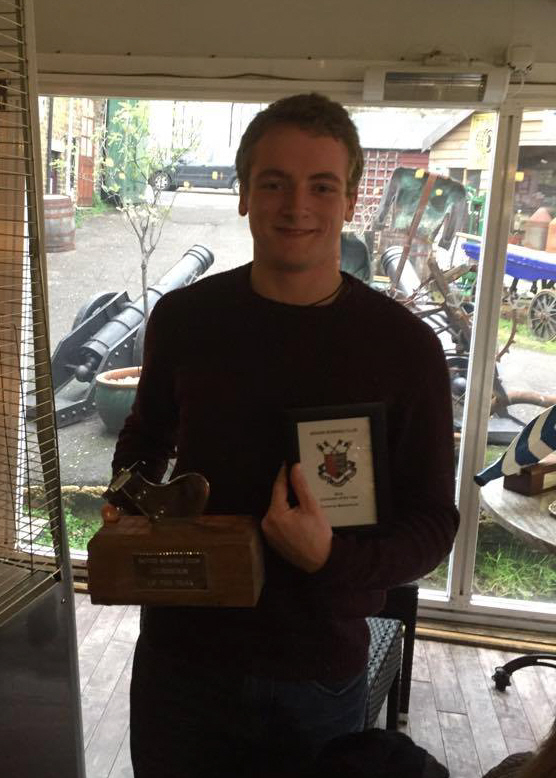 The Sarah Goodwin Trophy for Most Improved Novice Male Rower was awarded to Robin McCorkell for the 2015 season and Thomas Stothart for 2016. Both young rowers had performed well in Dover’s Novice crews whilst successfully learning to scull to a competitive level. In the Ladies division Most Improved Novice trophy was awarded to Lisa Burnett in 2015 and Mary Newcombe for 2016. 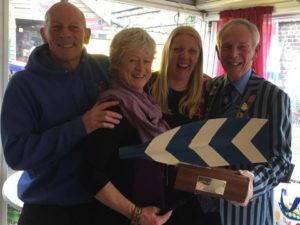 Burnett won her two Novice races in successive regattas with different crews whilst Newcombe scored the only win for a novice lady in 2016. The Cox of the Year Award was presented to Chris Hall for 2015 and Cameron Mackintosh in 2016. Hall, possibly the tallest cox in CARA, drove several crews to victory and worked with new Canterbury Christ Church University crews in training whilst Mackintosh worked to safely develop younger rowers in training and has shown willingness to cox any crew at short notice. The Captain’s Award for winner 2015 was David Newman with the 2016 award being shared between Jo Johnston and Maria West-Burrows. Newman took on the Press Officer role for the Club at the start of the 2015 season. Johnston has worked as Junior Co-ordinator, West-Burrows has taken on the Vice Captain’s role this season and they have both worked hard for the club through the year. 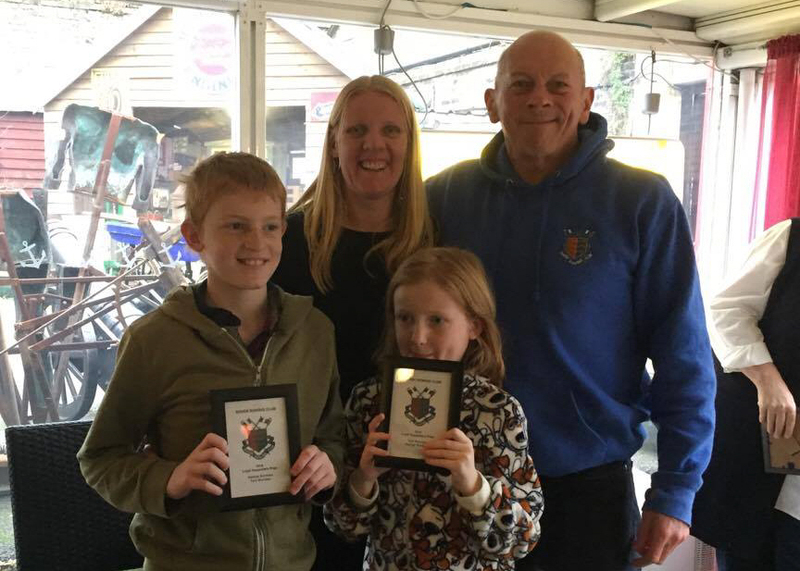 Johnston and West-Burrows also took the Club Man Award for 2015 and 2016 respectively for their overall contribution to the club. The popular Rower’s Rower award, the only one selected by club wide vote, was shared between Mackintosh and West-Burrows. 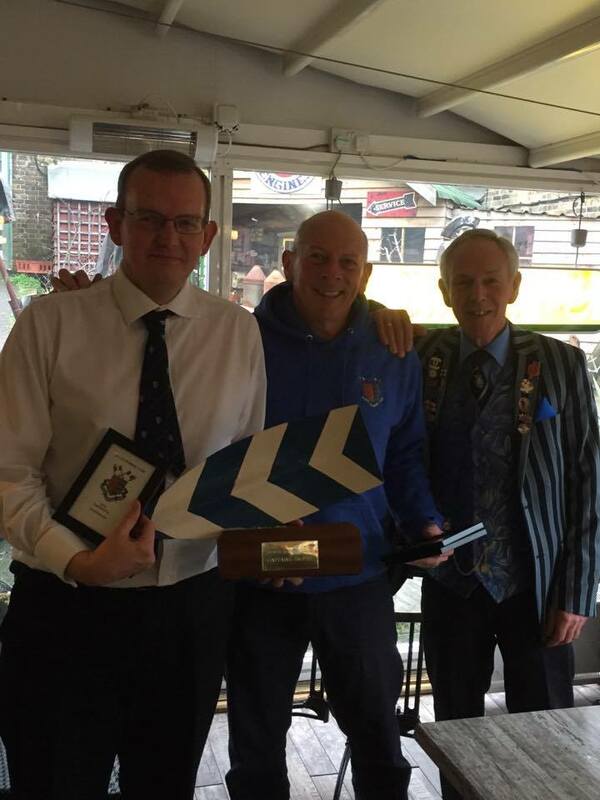 The Loyal Supporters award went to Toni and George Burrows and the Dover Regatta Prize was awarded to Ollie Scrivener who coxed his families Men’s Novice Four crew to victory on home water. Anyone interested trying out rowing for the first time, or who are looking to return to the sport, should contact Dover Rowing Club using the details on the Club’s website.